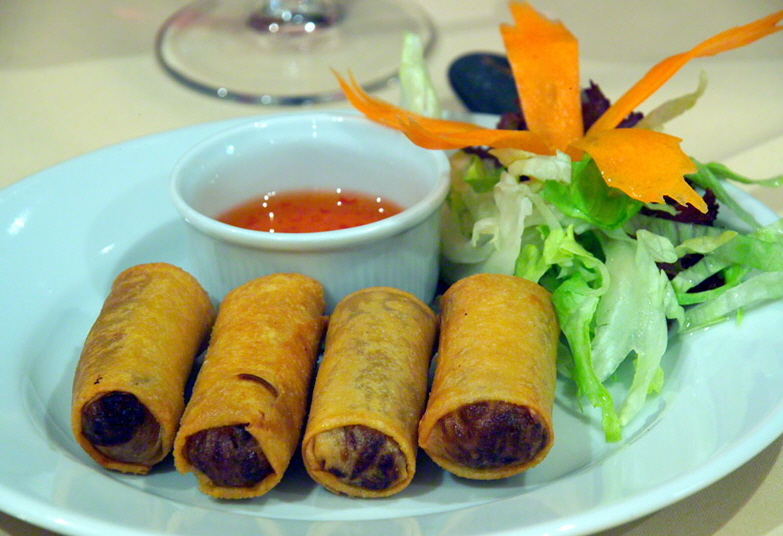 Mexican Spring Rolls - available with pork, chicken or vegetarian. Spicy cabbage, carrots, onions and black beans fried traditionally in egg roll dough with sweet and spicy dipping sauce. 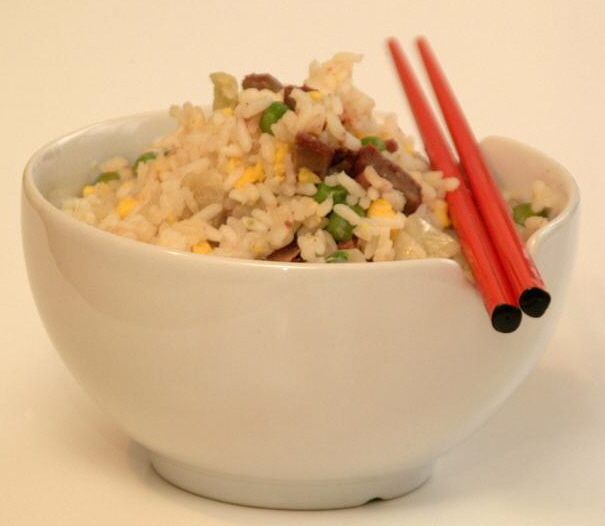 Mexican Fried Rice - Fried traditionally Chinese style white rice with egg, soy sauce, black beans, pimentos, red pepper and chives. Mexican Curried Chicken - Grilled marinated chicken in a Mandarin curry sauce with red peppers, green peppers and cilantro.